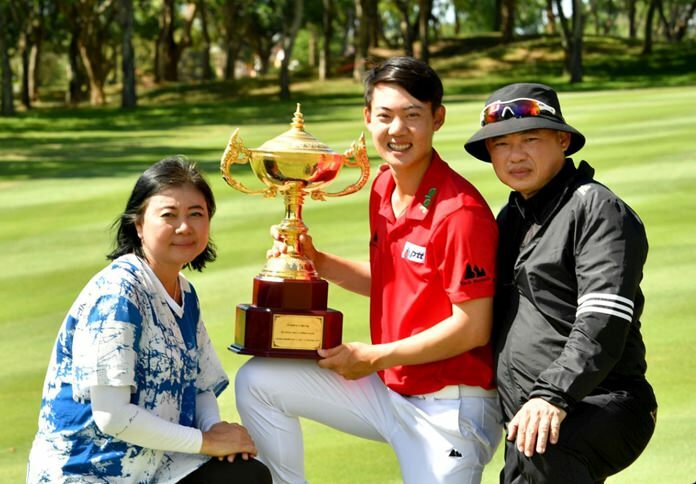 Young Thai talent Jazz Janewattananond took advantage of a hot streak to close with a four-under-par 67 to seal a solid four-shot victory at the Asian Tour endorsed Queen’s Cup in Pattaya last Sunday. After trading one birdie against two bogeys to turn in 37, Janewattananond fired five straight birdies from the 10th to pull away from the pack before reeling in four closing pars for a winning total of 19-under-par 265 at the Phoenix Gold Golf and Country Club. Janewattananond, who was trailing by one shot at the turn, sparked his hot run with a chip-in birdie from 11 yards on the 10th. The 22-year-old Thai bounced back from a wayward tee shot on the next with a brilliant approach from the trees which left him a one-footer for birdie. He went on to make a seven-footer on the 12th, drain a long 24-feet uphill putt on 13th and nail an eight-footer on 14th to cap five birdies in-a-row en route to winning the US$300,000 event, which celebrated its 10th straight edition on the Asian Tour. Janewattananond made up for the disappointment of finishing runner-up last year with this victory which saw him take home a winner’s prize purse of US$54,000 and receive a total of 14 Official World Golf Ranking (OWGR) points. India’s Gaganjeet Bhullar battled to a 71 to take second place while American Sihwan Kim and Pavit Tangkamolprasert of Thailand shared third place on 270 following respective rounds of 70 and 71. Janewattananond will be making his Major debut at The Open at Carnoustie later this month. He earned the coveted spot after finishing tied-fourth at the season-opening SMBC Singapore Open in January, which was part of The Open Qualifying Series. “I came here with the mindset of putting my game in good shape for The Open later this month. I did more than that. To be able to win this week is a bonus. 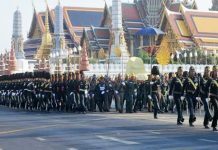 It has definitely helped to boost my confidence,” said the young Thai star.